As this is this month’s reading group book, which translation is everyone using? Reddit 1, Reddit 2, Reddit 3. No emphasis. Formatting is plain. Der Wille zur Wahrheit, der uns noch zu manchem Wagnisse verführen wird, jene berühmte Wahrhaftigkeit, von der alle Philosophen bisher mit Ehrerbietung geredet haben: was für Fragen hat dieser Wille zur Wahrheit uns schon vorgelegt! Welche wunderlichen schlimmen fragwürdigen Fragen! Das ist bereits eine lange Geschichte, - und doch scheint es, dass sie kaum eben angefangen hat? Was Wunder, wenn wir endlich einmal misstrauisch werden, die Geduld verlieren, uns ungeduldig umdrehn? Dass wir von dieser Sphinx auch unserseits das Fragen lernen? Wer ist das eigentlich, der uns hier Fragen stellt? Was in uns will eigentlich “zur Wahrheit”? - In der that, wir machten langen Halt vor der Frage nach der Ursache dieses Willens, - bis wir, zuletzt, vor einer noch gründlicheren Frage ganz und gar stehen blieben. Wir fragten nach dem Werthe dieses Willens. Gesetzt, wir wollen Wahrheit: warum nicht lieber Unwahrheit? Und Ungewissheit? Selbst Unwissenheit? - Das Problem vom Werthe der Wahrheit trat vor uns hin, - oder waren wir’s, die vor das Problem hin traten? Wer von uns ist hier Oedipus? Wer Sphinx? Es ist ein Stelldichein, wie es scheint, von Fragen und Fragezeichen. - Und sollte man’s glauben, dass es uns schliesslich bedünken will, als sei das Problem noch nie bisher gestellt, - als sei es von uns zum ersten Male gesehn, in’s Auge gefasst, gewagt? Denn es ist ein Wagnis dabei, und vielleicht giebt es kein grösseres. Zimmern’s translation comes in the following forms. Australian Kindle Store for $4. Text says translated by Zimmern, edited by Kauffman and Paul Nergi. Emphasis uses italics. 121 pages. THE Will to Truth, which is to tempt us to many a hazardous enterprise, the famous Truthfulness of which all philosophers have hitherto spoken with respect, what questions has this Will to Truth not laid before us! What strange, perplexing, questionable questions! It is already a long story; yet it seems as if it were hardly commenced. Is it any wonder if we at last grow distrustful, lose patience, and turn impatiently away? That this Sphinx teaches us at last to ask questions ourselves? Who is it really that puts questions to us here? What really is this “Will to Truth” in us? In fact we made a long halt at the question as to the origin of this Will — until at last we came to an absolute standstill before a yet more fundamental question. We inquired about the value of this Will. Granted that we want the truth: why not rather untruth? And uncertainty? Even ignorance? The problem of the value of truth presented itself before us — or was it we who presented ourselves before the problem? Which of us is the (Edipus here? Which the Sphinx? It would seem to be a rendezvous of questions and notes of interrogation. And could it be believed that it at last seems to us as if the problem had never been propounded before, as if we were the first to discern it, get a sight of it, and risk raising it? For there is risk in raising it, perhaps there is no greater risk. Australian Kindle Store for $5. No emphasis. 148 pages. Uses british spelling. Formatting is nice. The Will to Truth, which is to tempt us to many a hazardous enterprise, the famous Truthfulness of which all philosophers have hitherto spoken with respect, what questions has this Will to Truth not laid before us! What strange, perplexing, questionable questions! It is already a long story; yet it seems as if it were hardly commenced. Is it any wonder if we at last grow distrustful, lose patience, and turn impatiently away? That this Sphinx teaches us at last to ask questions ourselves? Who is it really that puts questions to us here? What really is this “Will to Truth” in us? In fact we made a long halt at the question as to the origin of this Will—until at last we came to an absolute standstill before a yet more fundamental question. We inquired about the value of this Will. Granted that we want the truth: why not rather untruth? And uncertainty? Even ignorance? The problem of the value of truth presented itself before us—or was it we who presented ourselves before the problem? Which of us is the Oedipus here? Which the Sphinx? It would seem to be a rendezvous of questions and notes of interrogation. And could it be believed that it at last seems to us as if the problem had never been propounded before, as if we were the first to discern it, get a sight of it, and risk raising it? For there is risk in raising it, perhaps there is no greater risk. Published by Golden Deer Classics. 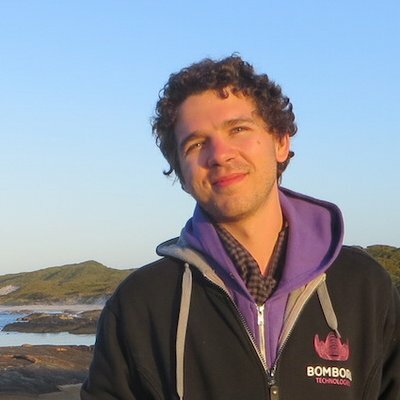 Australian Kindle Store for free. Emphasis uses capitalisation. Formatting is nice. Same as HarperCollins but uses capitalisation, although for point 2 HarperCollins has nicer quote marks. So you get nicer quote marks with HarperCollins but you get emphasis using capitalisation with Golden Deer. It also shows up again on the Australian Kindle Store for $3 by BookRix publishing, with the only difference being the mission of “Chapter 1”, however this edition does include other formats including two Audible editions: this one and this one. Australian Kindle Store for $5. 191 pages. Formatting is awful: has a coloured background. Cover says translated by Kauffman. However text says translated by Zimmern. The cover is from the actual Kaufmannn translation so this one is a con job. Australian Kindle Store for $12. Formatting is awful: has a coloured background. Australian Kindle Store for $10. 146 pages. Formatting is awful: has a coloured background. Emphasis uses italics, however emphasis is reduced. Uses american spelling. Formatting is nice. Same as HarperCollins, except “risk raising” is emphasised using italics. Nietzsche, Friedrich. Beyond Good and Evil (AmazonClassics Edition) (pp. 5-6). Amazon Classics. Kindle Edition. Includes hyperlinks to terminology. Includes the original German side by side. Emphasis uses bolding, including for the German. On the Prejudices of Philosophers. The Will to Truth, which still tempts us to take so many risks, that famous truthfulness of which all philosophers so far have spoken with respect: what questions has this will to truth already laid before us! What strange, perplexing, questionable questions! That is a long story even now, — and yet it seems as if it has scarcely begun? Is it any wonder if we at last grow distrustful, lose patience, and turn impatiently away? That on our part we should at last learn from this Sphinx to ask questions? Who is it really that puts questions to us here? what in us really wants this “truth”? — Indeed we came to a long halt at the question about the cause of this will — until before a yet more fundamental question we finally came to an absolute standstill. We asked about the value of this will. Granted we did want the truth: why not rather untruth? And uncertainty? Even ignorance? — The problem of the value of truth presented itself before us — or was it we who presented ourselves before the problem? Which of us is the Oedipus here? Who the Sphinx? It is a rendezvous, it seems, of questions and question marks. — And though it scarcely seems credible, it finally also seems to us as if the problem had never even been offered for consideration before — as if we were to see it for the first time, get a sight of it, dared it? For there is risk in raising it, and perhaps there is no greater risk than that. Australian Kindle Store for $17. Emphasis uses italics. Includes copious footnotes. The will to truth which will still tempt us to many a venture, that famous truthfulness of which all philosphers so far have spoken with respect—what questions has this will to truth not laid before us! What strange, wicked, questionable questions! That is a long story even now—and yet it seems as if it had scarcely begun. Is it any wonder that we should finally become suspicious, lose patience, and turn away impatiently? that we should finally learn from this Sphinx to ask questions, too? Who is it really that puts questions to us here? What in us really wants “truth”? Indeed we came to a long halt at the question about the cause of this will—until we finally came to a complete stop before a still more basic question. We asked about the value of this will. Suppose we want truth: why not rather untruth? and uncertainty? even ignorance? The problem of the value of truth came before us—or was it we who came before the problem? Who of us is Oedipus here? Who the Sphinx? IT is a rendezvous, it seems, of questions and question marks. And though it scarcely seems credible, it finally almost seems to us as if the problem had never even been put so far—as if we were the first to see it, fix it with our eyes, and risk it. For it does involve a risk, and perhaps there is none that is greater. Footnote 1. Marianne Cowan has suggested in the preface to her translation that Nietzsche divided this book “into ‘articles’ like articles of faith,” and she sees “irony in this.” But there is no warrant for rendering Hauptstück “article”: it means major part." Kant’s Critique of Pure Reason and Critique of Practical Reason are both divided into * Hauptstücke. So is Nietzsche’s own Human, All-Too-Human. The term is obviously particularly appropriate for books subdivided into many short sections. In preparing the present edition, I hoped at first that I might merely revise her version, modernizing her somewhat Victorian prose and correcting mistakes; but I soon gave up. The mistakes were too numerous, and in Neitzsche’s case naunces are so important that it would be difficult to say at what point an infelicitous rendering becomes downright wrong. So it seems then that all the Zimmern translations that mentioned Kauffman are lying, or that Kauffman did actually publish a revision of Zimmern’s translation (which is the one in current circulation), before doing his own entire translation. Australian Kindle Store for $11. The will to truth, which is still going to tempt us to many a hazardous enterprise; that celebrated veracity of which all philosophers have hitherto spoken with reverence: what questions this will to truth has already set before us! What strange, wicked, questionable questions! It is already a long story – yet does it not seem as if it has only just begun? Is it any wonder we should at last grow distrustful, lose our patience, turn impatiently away? That this sphinx should teach us too to ask questions? Who really is it that here questions us? What really is it in us that wants ‘the truth’? – We did indeed pause for a long time before the question of the origin of this will – until finally we came to a complete halt before an even more fundamental question. We asked after the value of this will. Granted we want truth: why not rather untruth? And uncertainty? Even ignorance? – The problem of the value of truth stepped before us – or was it we who stepped before this problem? Which of us is Oedipus here? Which of us sphinx? It is, it seems, a rendezvous of questions and question-marks. – And, would you believe it, it has finally almost come to seem to us that this problem has never before been posed – that we have been the first to see it, to fix our eye on it, to hazard it? For there is a hazard in it and perhaps there exists no greater hazard. Published by Oxford World’s Classics. Australian Kindle Store for $9. Emphasis uses italics. Includes footnotes. The will to truth, which will seduce us yet to many a risky venture, that famous truthfulness about which all philosophers to date have spoken with deference: what manner of questions has this will to truth presented for us! What strange, wicked, questionable questions! It is already a long story, and yet doesn’t it seem to be just getting started? Is it any wonder that we finally grow suspicious, lose patience, turn round impatiently? That we learn from this Sphinx how to pose questions of our own? Who is actually asking us the questions here? What is it in us that really wants to ‘get at the truth’? It is true that we paused for a long time to question the origin of this will, until finally we came to a complete stop at an even more basic question. We asked about the value of this will. Given that we want truth: why do we not prefer untruth? And uncertainty? Even ignorance? The problem of the value of truth appeared before us—or did we appear before it? Which of us here is Oedipus? Which the Sphinx? It is a rendezvous, so it seems, of questions and question marks. And would you believe that in the end it seems to us as if the problem had never yet been posed, as if we were seeing it for the first time, focusing on it, daring it? For there is daring to it, and perhaps no daring greater. This translation of Beyond Good and Evil is based on the Colli-Montinari critical edition (Berlin: Walter de Gruyter, 1968). Among previous translations of the work, those by Walter Kaufmann (1966) and R. J. Hollingdale (1973) are particularly admirable. My own translation may differ from these two in its inclination to choose Germanic rather than Latinate renderings, its non-interpretative endnotes, and its effort to capture the musical aspects of the text. My chief aim has been to provide a fluent translation for the readers of the Oxford World’s Classics series. Australian Kindle Store for $15. The will to truth that still seduces us into taking so many risks, this famous truthfulness that all philosophers so far have talked about with veneration: what questions this will to truth has already laid before us! What strange, terrible, questionable questions! That is already a long story — and yet it seems to have hardly begun? Is it any wonder if we finally become suspicious, lose patience, turn impatiently away? That we ourselves are also learning from this Sphinx to pose questions? Who is it really that questions us here? What in us really wills the truth? In fact, we paused for a long time before the question of the cause of this will — until we finally came to a complete standstill in front of an even more fundamental question. We asked about the value of this will. Granted, we will truth: why not untruth instead? And uncertainty? Even ignorance? The problem of the value of truth came before us, — or was it we who came before the problem? Which of us is Oedipus? Which one is the Sphinx? It seems we have a rendezvous of questions and question-marks. — And, believe it or not, it ultimately looks to us as if the problem has never been raised until now, — as if we were the first to ever see it, fix our gaze on it, risk it. Because this involves risk and perhaps no risk has ever been greater. The translation follows the German text as printed in the critical edition of Nietzsche’s works edited by G. Colli and M. Montinari (de Gruyter: Berlin, 1967—). The footnotes are not meant to provide a commentary to Nietzsche’s text. They are restricted to (1) translations of phrases and terms from foreign languages, (2) explanations of peculiarities of Nietzsche’s German terminology, and (3) some comments on material used or alluded to by Nietzsche. The glossary of names on pp. 181—5 contains short descriptions of all persons mentioned in the text. The notes and the glossary make use of information supplied by vols. XIV and XV of Sa ̈mtliche Werke: Kritische Studienausgabe, ed. G. Colli and M. Montinari, 15 vols. (de Gruyter: Berlin and Deutscher Taschenbuch Verlag: Munich, 1980). They are the joint product of Dina Emundts, Rolf-Peter Horstmann, and Judith Norman. Australian Kindle Store for $10. Could not find an excerpt of this. Australian Kindle Store for $2. Free via The University of Adeliade. Narrated by: Alex Jennings, Roy McMillan. Emphasis uses italics. Includes crossreferences and some footnotes. The will to truth, which is still going to tempt us to many a daring exploit, that celebrated truthfulness of which all philosophers up to now have spoken with respect, what questions this will to truth has already set down before us! What strange, serious, dubious questions! There is already a long history of that—and yet it seems that this history has scarcely begun. Is it any wonder that at some point we become mistrustful, lose patience and, in our impatience, turn ourselves around, that we learn from this sphinx to ask questions for ourselves? Who is really asking us questions here? What is it in us that really wants “the truth”? In fact, we paused for a long time before the question about the origin of this will—until we finally remained completely and utterly immobile in front of an even more fundamental question. We asked about the value of this will. Suppose we want truth. Why should we not prefer untruth? And uncertainty? Even ignorance? The problem of the value of truth stepped up before us—or were we the ones who stepped up before the problem? Who among us here is Oedipus? Who is the Sphinx?1 It seems to be a tryst between questions and question marks. And could one believe that we are finally the ones to whom it seems as if the problem has never been posed up to now, as if we were the first ones to see it, to fix our eyes on it, and to dare confront it? For there is a risk involved in this—perhaps there is no greater risk. Footnote 1. . . . . Oedipus . . . Sphinx: In Greek mythology, the Sphinx was a monster who terrorized Thebes. The peril could only be averted by answering a riddle. Oedipus answered the riddle successfully and was made king of Thebes. The following translation retains Nietzsche’s short quotations and phrases in languages other than German and includes, immediately after such phrases, an English translation in the text, placed in italics within square brackets (e.g. [English translation]). If the quotation is more than a few words long, the English version is included in the text, and Nietzsche’s original quotation appears in a note at the end of the translation. Sometimes, when there may be some ambiguity about the meaning of a word or phrase in the original, this text also includes in square brackets a term from Nietzsche’s German text. The endnotes, which provide information about people or quotations mentioned in the text, have been provided by the translator. 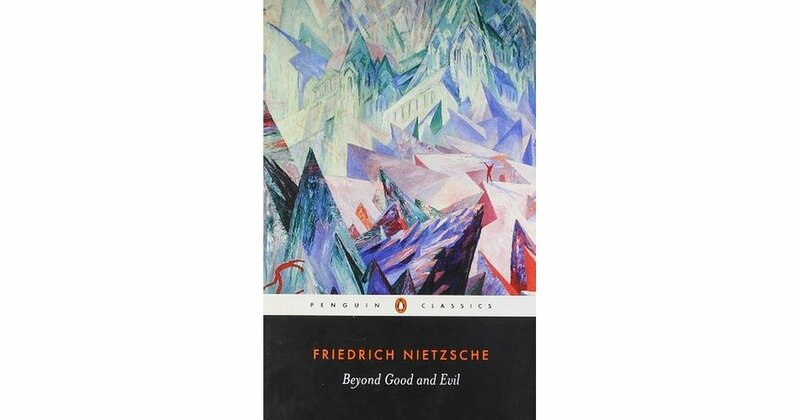 Beyond Good and Evil, one of the most important works of Friedrich Nietzsche (1844-1900), was first published in 1886. For a very brief introduction to Nietzsche see the section on the Life and Work of Friedrich Nietzsche at the end of this translation. Narrated by: Alex Jennings, Roy McMillan. Ian Johnston translation. No whispersync. Narrated by: Steven Crossley. Zimmern translation. Kindle. Has whispersync. Narrated by: Kevin Theis. Unstated translation. Narrated by: David McCallion. Unstated translation. Narrated by: Steven Van Doren. Zimmern translation. Kindle. Has whispersync. Narrated by: Philippe Duquenoy. Unstated translation. In order of preference. (Still need to rank Johnston). Kaufmann, Lombardo, Faber, Johnston, are all easy to follow, yet all offer different insights. They all also have footnotes for different things. Norman: Easier to follow than Hollingdale, but harder to follow than Faber. The start of Part 1—Point 5 was harder to follow with Norman’s as the sentence structure was complex. Faber’s is easier to follow. Faber also includes footnotes covering Nietzsche’s sly remarks and references, whereas Norman’s footnotes are terse, and minimal. Hollingdale: Part 1—Point 2 was difficult to follow. Zimmern: All the above considered this translation inadequate, so I haven’t bothered with it. Kaufmann: “According to nature” you want to live? O you noble Stoics, what deceptive words these are! Imagine a being like nature, wasteful beyond measure, indifferent beyond measure, without purposes and consideration, without mercy and justice, fertile and desolate and uncertain at the same time; imagine indifference itself as a power—how could you live according to this indifference? Living—is that not precisely wanting to be other than this nature? Is not living—estimating, preferring, being unjust, being limited, wanting to be different? And supposing your imperative “live according to nature” meant at bottom as much as “live according to life”—how could you not do that? Why make a principle of what you yourselves are and must be? 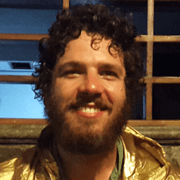 Faber: You want to live ‘according to nature’? Oh you noble Stoics,1 what deceit lies in these words! Imagine a creature constituted like nature, prodigal beyond measure, neutral beyond measure, with no purpose or conscience, with no compassion or fairness, fertile and desolate and uncertain all at once; imagine Indifference itself as a power: how could you live according to this indifference? To live—isn’t that precisely the desire to be other than this nature? Doesn’t life mean weighing, preferring, being unjust, having limits, wanting to be Different? And even if the real meaning of your imperative ‘to live according to nature’ is ‘to live according to life’—how could you do otherwise? Why make a principle out of something that you already are and needs must be? Footnote: Stoics: the school of the Stoics (after the stoa poikile, the painted porch) was founded in Athens by Zeno of Citium, c.300 BC, and held that the world is an ideally good organism all of whose parts interact for the benefit of the whole. Johnston: Do you want to live “according to nature”? O you noble Stoics, what a verbal swindle! Imagine a being like nature — extravagant without limit, indifferent without limit, without purposes and consideration, without pity and justice, simultaneously fruitful, desolate, and unknown — imagine this indifference itself as a power — how could you live in accordance with this indifference?8 Living — isn’t that precisely a will to be something different from what this nature is? Isn’t living appraising, preferring, being unjust, being limited, wanting to be different? And if your imperative “live according to nature” basically means what amounts to “live according to life”— why can you not just do that? Why make a principle out of what you yourselves are and must be? Footnote: . . . . you noble Stoics: The Stoics were a Greek philosophical school teaching patient endurance and repression of the emotions. Lombardo accurately translates the first sentence, then Faber, then Kaufmann, then Johnston. The next sentence can go any which way, as they all are valid translations of the original words, however Johnston is most accurate. However only Faber notes the exact connection that Nietzsche was making in regard to Stoicism, followed by Johnston which comments on stoicism, Lombardo links it, and Kuafmann doesn’t consider it noteworthy. I went with Faber, and very happy with that selection. That’s a great summary! I’ll add it to the intro post right now! Thanks for taking the time to read @balupton I’ll try to join again one of the discussions, but I can’t join the one about BGE because my nephew is visiting. Cheers! I’m now about 50% through the book. The parts on genders is really interesting, and aligned with many of my prior musings on their archetypes and how such archetypes have influenced our language and economy. 144 When a woman has scholarly tendencies, there is usually something wrong with her sexuality. Barrenness in and of itself predisposes to a certain masculinity of taste: for, if I may say so, the man is the ‘barren animal’. 145 Comparing men and women in general, you might say that women would not have their genius for adornment if they did not have an instinct for the supporting role. When and where did people first start confusing benefits—which are earned— with privileges—which are granted—? How many decades ago was it? and what caused this confusion to arise and then to spread? Perhaps women who wish to accept the masculine responsibilities, first need to learn the ropes of being men through patriarchal piety rather than tantrums, before they break their shoes rather than breaking them in. @JamesConlon_ @iDhruvS Your goal is honourable, but your execution is clumsy. Weakness (not coping) *does* make you less than the *masculine archetype*, hence why the bias exists. Just because that is the case, doesn't mean anyone should be ashamed. Individuals are more than black & white archetypes. Blocking someone on twitter is the equivalent of that annoying adolescent girl response of putting up the palm of the hand and saying, “talk to the hand, cause the face don’t wanna see yah.” Did the sheilas where you lived do this? (note my impeccable Australian lingo). I think it is true to say that most people do not wish to feel weak. The very first- and hardest- step of overcoming addiction for instance, is first admitting that you have the weakness. It’s incredibly hard to expose our hidden shadows. I wouldn’t expect many people to adopt an objective description of themselves on twitter as weak. That place eats weakness for breakfast. To the above point about Nietzsche’s treatment of gender. From an evolutionary perspective, when you look at the wide range of sexual reproductive strategy between species, you see a spectrum of dominance between male/female interactions. Preying mantis females eating heads mid-coitus, to lantern fish females absorbing the male into their skin. To harem-like arrangements. To the multi-thousand gender fungi schizophyllum commune, Crazy diversity. Well, on that spectrum of dominance, we humans are doing this weird dance at the mid line of the balance between dominance and submission. And it’s crazy complicated, the choice space. So that’s the chaos of politics right now- the downstream effect of this weird cultural battle between resources for sexual reproduction strategies (hypergamy i.e.). There are two human species, we’re sexually dimorphic. It’s the two ways of viewing the world that are filtered through our culture, and always have been. It’s built up from the story of every individual telling and retelling every other individuals view of the world. And the most meaningful stories seem to thrive and survive, while the rest fall away to history. It’s always been a weird competition, first conceptualized as the battle between gods of various tribes, killing each other or cooperating to make a play out of man’s cultural story, the meta level expression of the collective desires and intentions- the struggle over the dragon for the virgin. But think about this, really, the male and the female, the yin and the yang, the balance of production to destruction, violence and forgiveness, it’s all weirdly mixed up vibrational patterns of quantum particles vibrating information to each other over multi-compressed, multi-channel translations of energy, via auditory and visual apparatuses…how are we not freaking out about that every day, I really can’t say. The story that we’ve put together now of what’s taking place, this ridiculous drama of male/female, cycle of birth and destruction, that’s taking place from the bottom to the top in strange isomorphic vibrations. I mean…seriously. I digress. But there it is. This world is too fascinating. That’s my grand philosophical truth, if ever I were to have one.